Contains iron, vitamin E and calcium. Contains B-complex vitamins and phosphorus. Contains a high amino asid. Nuts contain a good amount of folic acid. Repeating studies have shown that women who have a daily intake 400 micrograms of folic acid before and during early pregnancy reduces the risk of having a baby born with a tube defects serious neurological up to 70%. A quarter cup of nuts can supply body with 35% of the value required daily manganese, a mineral that plays a role in the metabolism of fats and carbohydrates, absorption of calcium, and blood sugar regulation. It might be surprising that the bean can help prevent gallstones. but 20 years of research have shown that ate 1 ounce of nuts, peanuts or peanut butter nuts a week lowered the risk of stone bile grown by 25%. Peanuts are a good source tryptophan, an essential amino acid essential for the production of serotonin, one of a key brain chemical involved in the regulation of mood. when depression occurs, decrease the amount of serotonin can released from nerve cells in the brain. Tryptophan may enhance the effects of serotonin antidepressants that if there increase the amount of serotonin in the blood. Do you know what can be found in a nut which gives them "food brain "tag? This is due to their vitamins B3 or niacin content many benefits health including normal brain function and improve memory power. The same nutrition nuts that provide strength increase their memory as well helps reduce and control the levels of cholesterol. Added to the contents copper those who assist in reduce bad cholesterol and increase good cholesterol. Numerous studies have shown that consumption of nuts regularly associated with decreased the risk of heart disease. 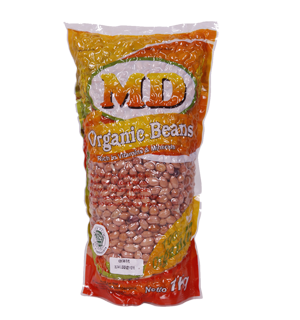 rich beans heart-friendly monounsaturated fat and antioxidants such as oleic acid. reach a handful of peanuts and other nuts at least four times a week for reduce the risk of cardiovascular and coronary heart disease. Participants studies have shown that those who have the most intake niacin-rich foods such as peanuts are 70% more likely to have disease Alzheimer developed. fourth cup of nuts a day can already be supplies nearly a quarter of the value of required daily for niacin. A form of phytosterol called beta-sitoserol (SIT) found in high concentrations in some plant oils, grains, and legumes including bean. Phytosterols not only protect against heart disease with blocking the absorption of cholesterol, they also protect against cancer to inhibit tumor growth. Surprise! Eating nuts regularly associated with the risk of losing weight. Research has shown that people who ate nuts at least twice week are much less likely to gain weight than they are almost never eat them.